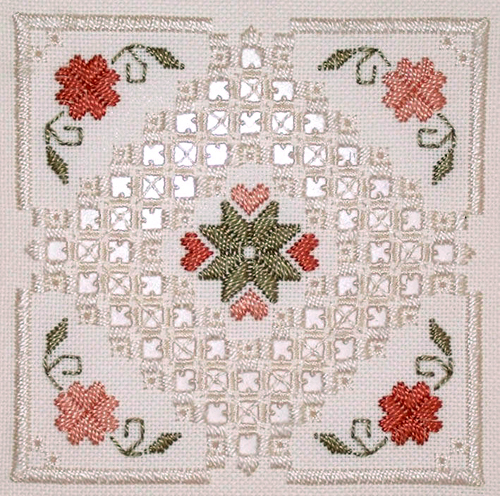 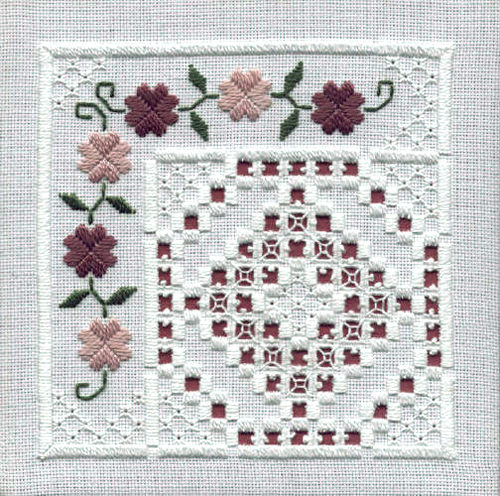 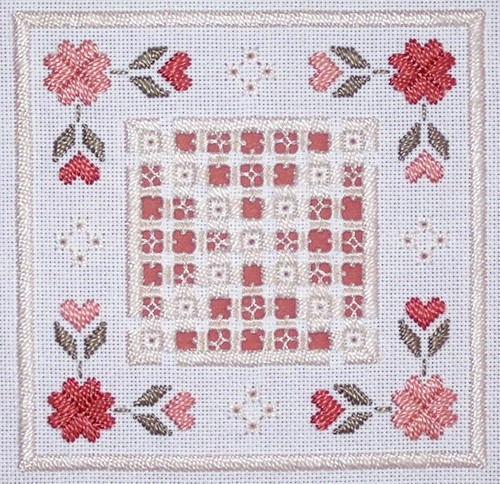 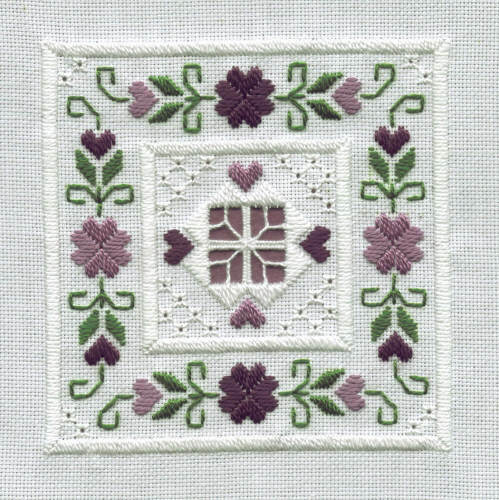 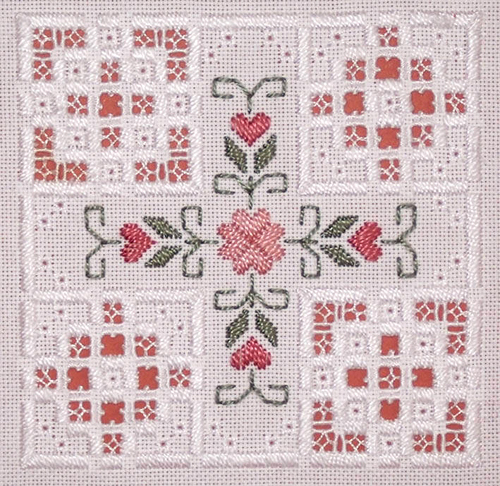 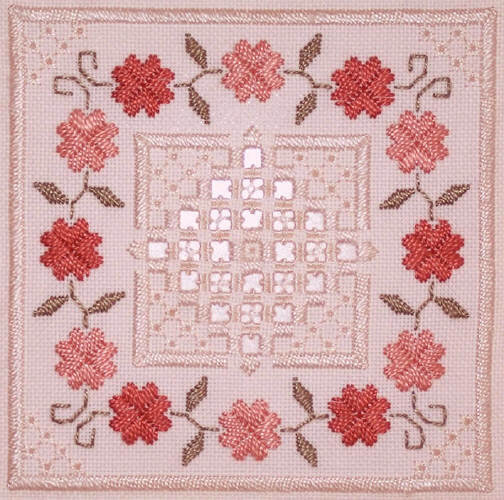 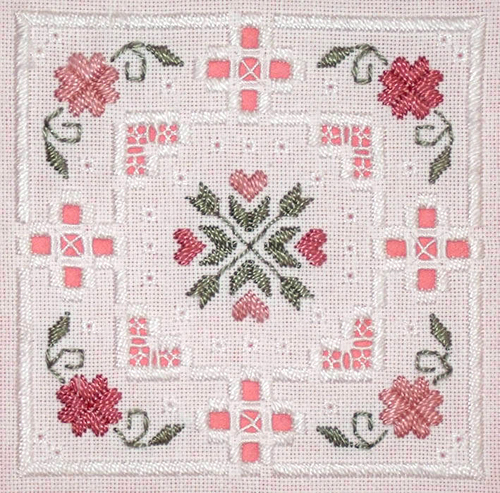 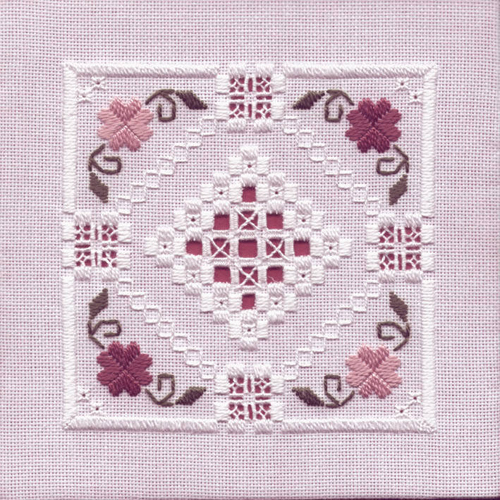 We have a set of 16 hardanger tiles and four larger designs that use a variety of counted thread techniques. 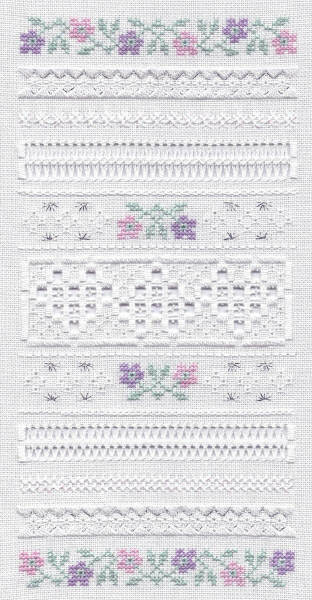 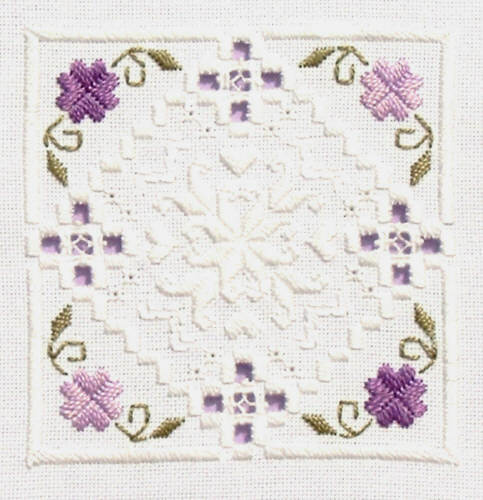 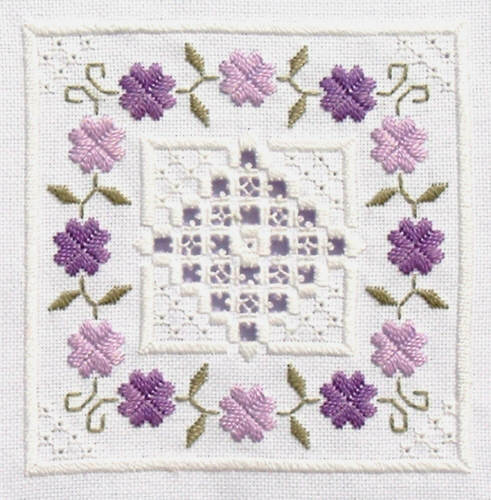 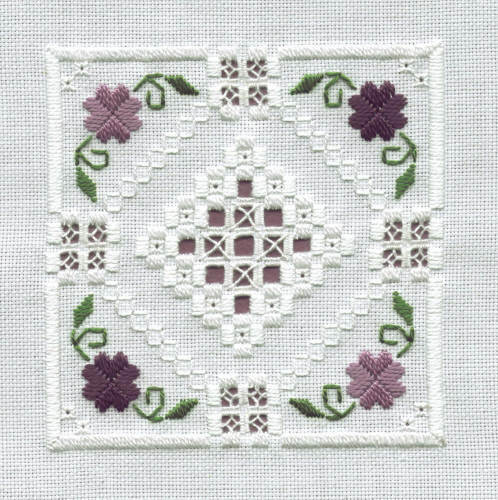 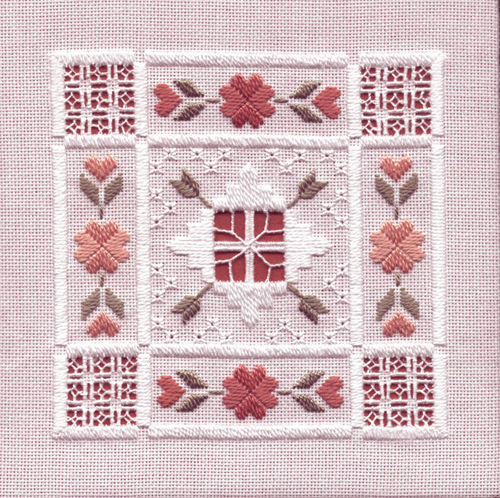 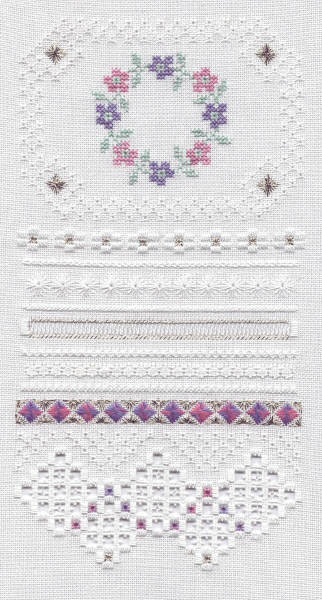 The hardanger tiles are worked on 22ct hardanger fabric in white, antique white or ivory, using cotton perle threads, no. 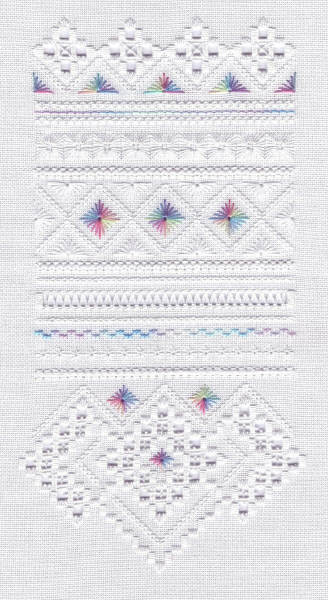 5's for the colours and no. 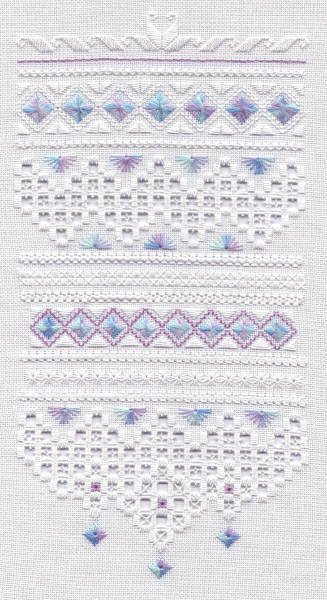 5's and 8's for the threads that are the same colour as the fabric. 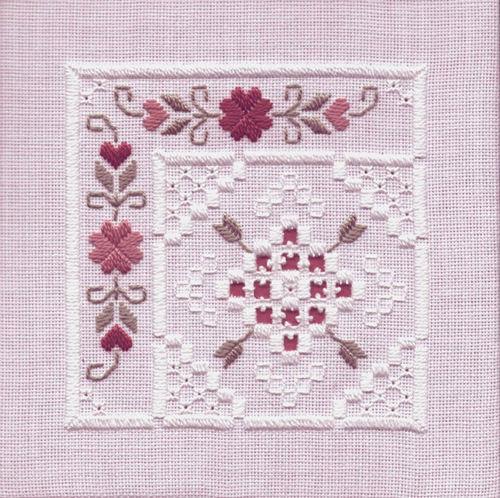 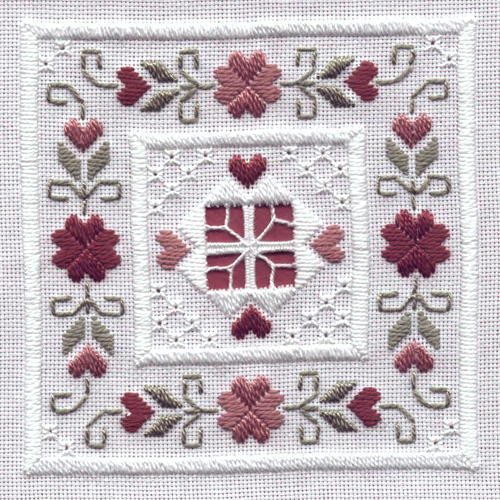 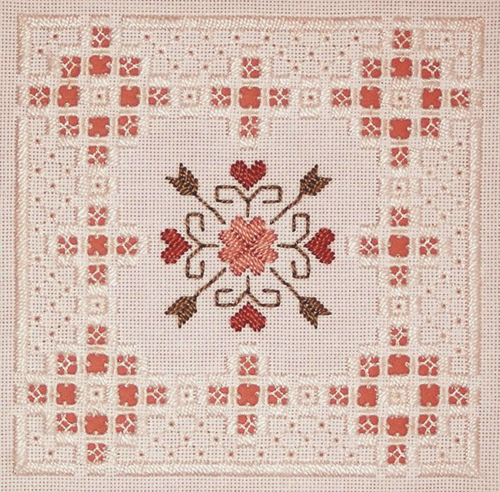 These four designs use a variety of techniques and some speciality threads to produce attractive samplers. 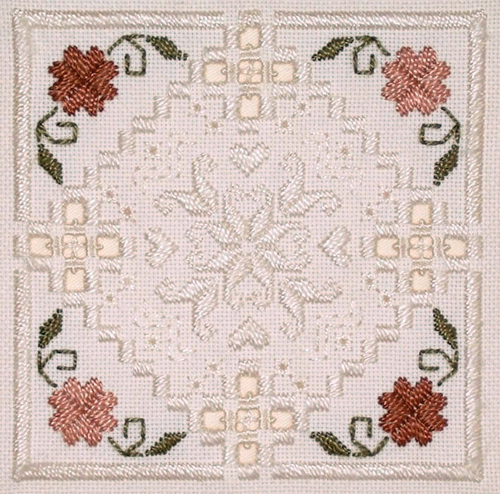 The designs are worked on 27ct white Linda evenweave.